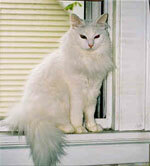 This breed was developed by Dr Truda Straede in Australia commencing in 1976, hence its name. 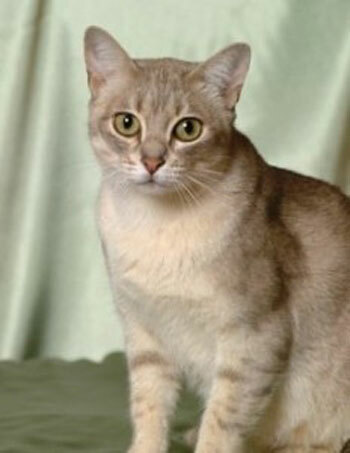 Australian Mist breed was developed by crossing the Burmese, Abyssinian, and Australian Moggy cats to create a shorthaired cat with a spotted coat. Burmese contributed the dilution for the colours, the ‘laid back’ nature, four of the colours and some of the pattern , as well as general size and conformation. 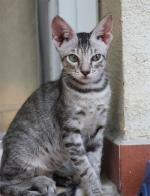 From the Abyssinian came the beautiful ticking to develop the pattern, two colours, and a touch of lively intelligence. 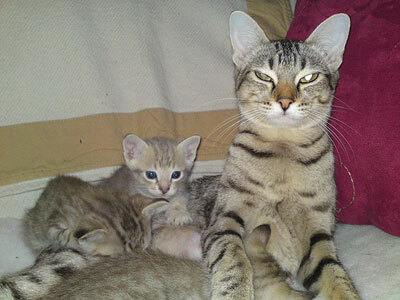 Moggies contributed to the best spots, but primarily to vigour, with a dose of ‘uncosseted’ cat genes improving teeth, kidneys, mothering qualities, and helping to stabilise litter sizes around the feline average of four. 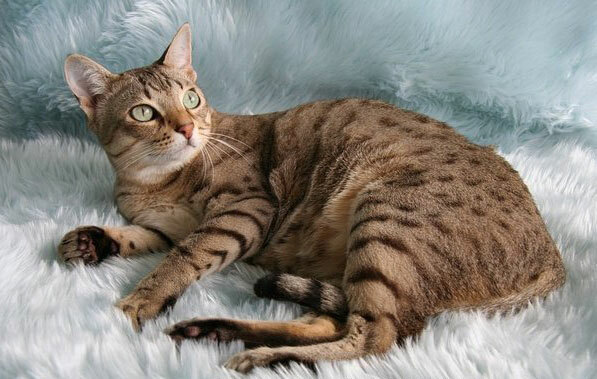 The name was changed from ‘Spotted Mist’ to ‘Australian Mist’ in 1998 when cats with marbled coats, rather than spots, were accepted as part of the breed. The first breeding population to be established outside Australia will be in the UK. There is nothing extreme about Australian Mist, they are of moderate size, medium boned, rounded of head. Eyes are large and expressive in a range of greens. The nose, chin and whiskerpads are broad giving the face a generous expression. 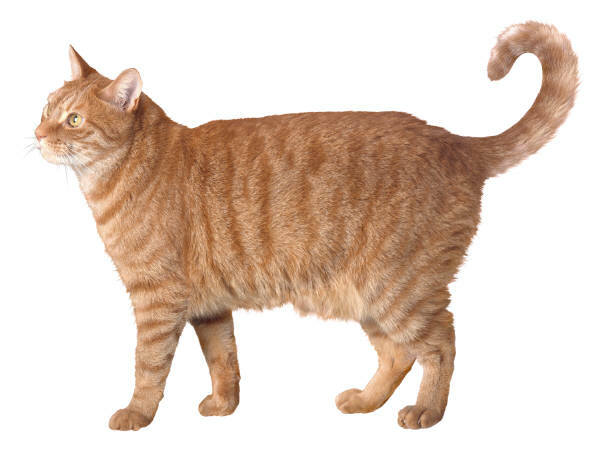 The coat is short but resilient, with a plump-furred tail. ground colour, paler than pattern; pattern, delicate though distinct from ground colour; appears to wear a misted veil, caused by random ticking in the solid colour areas They come in two patterns – spotted or marbled. “Spotties”, as they are affectionately known, are extremely alert and attentive. Super athletes, they are possessed of limitless energy and a cheeky, inquisitive nature. Temperament is such that even many males are able to live in small groups with other males. Australian Mist are full of love and fun, bright but relaxed, excellent mothers, moderate breeders, and superlative studs. 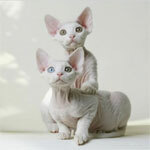 Desexed cats, females and kittens fit in easily with all sorts of other pets. 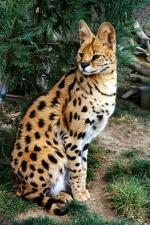 These friendly felines enjoy playing games and being part of the hustle and bustle of a busy household making entertaining companions for people. 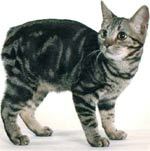 Australian Mist cats are perfect for children of all ages, even very young ones, as they are tolerant of handling, and are not inclined to scratch.